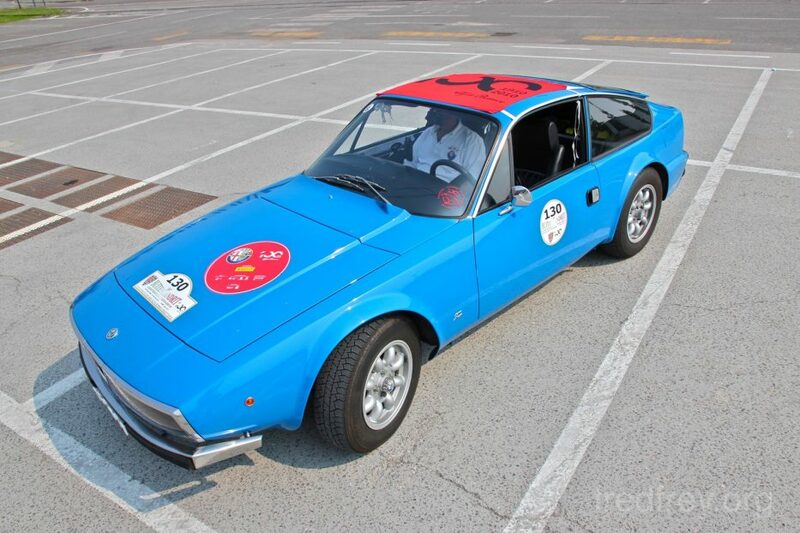 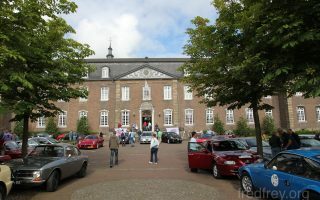 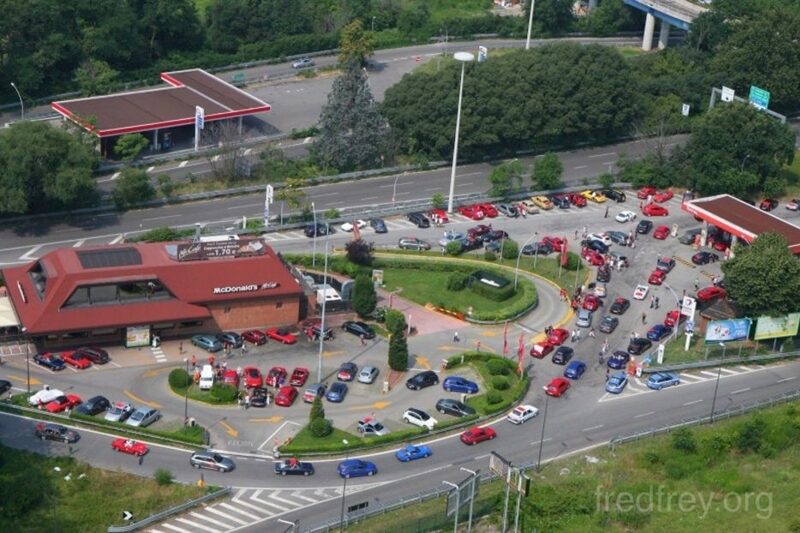 After the “Italian style organization” of Saturday many of the gathered Alfisti chose to make Sunday a “non car day”. 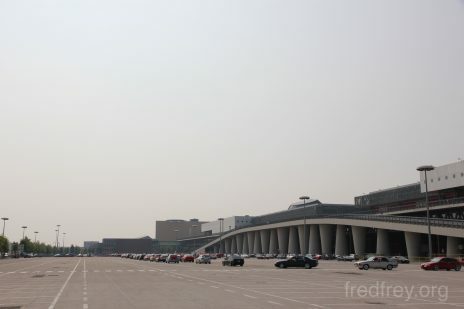 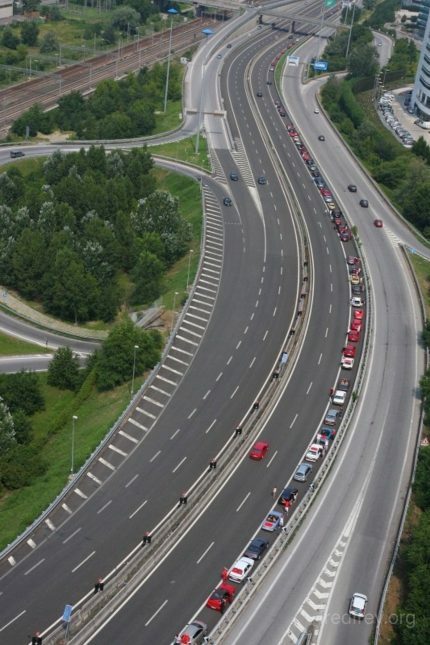 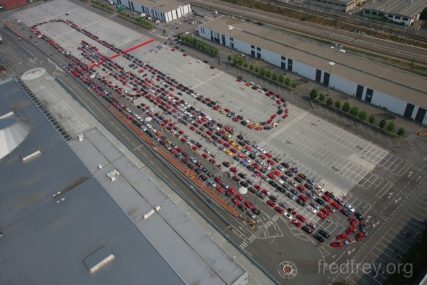 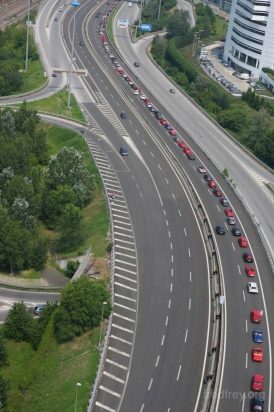 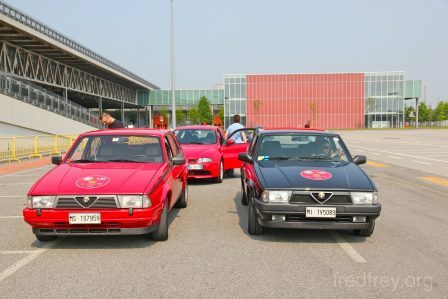 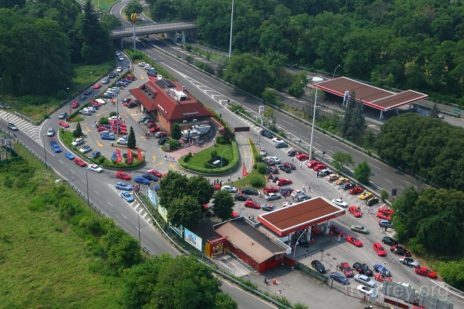 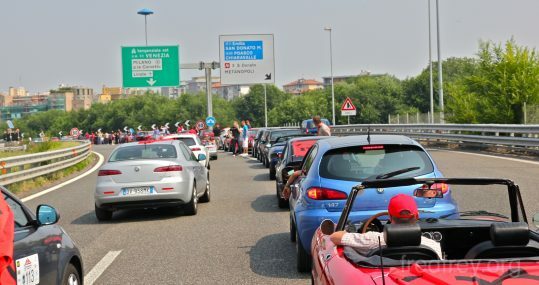 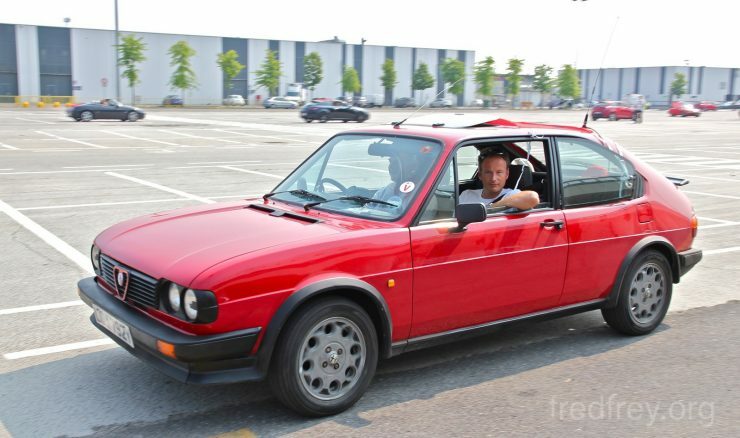 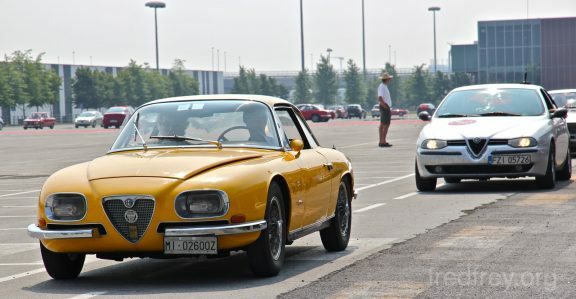 But at least half of the four thousand cars did decide to venture out on the roads again in the hot sun and participate in a drive around Milan via the ring road. 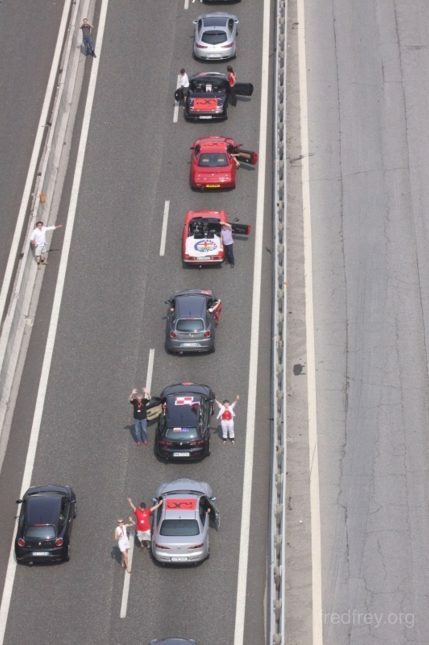 Each participant was given a centennial flag to attach to the roof of their car. 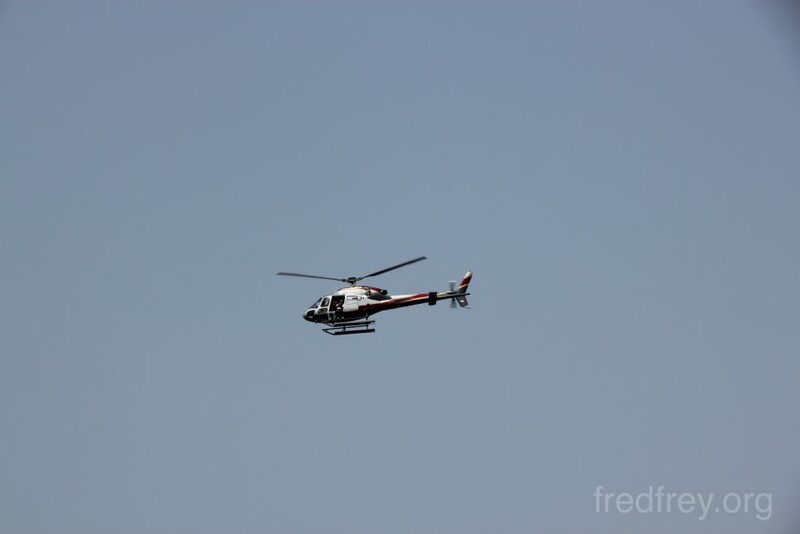 Helicopters were dispatched to document the event. 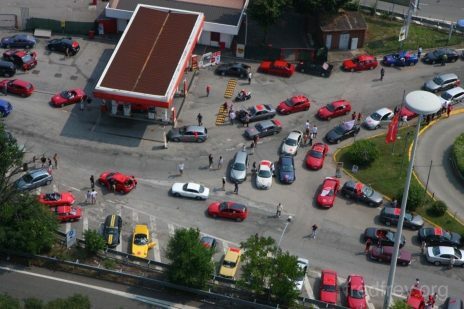 There were “pit stop” locations where drivers were given a puzzle peace that would eventual form the centennial logo. 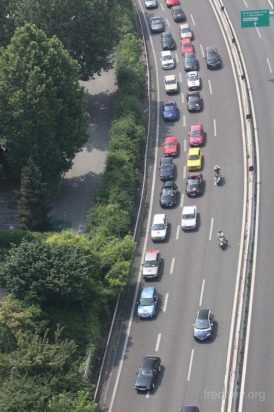 Police escorts were available to help the massive group navigate. 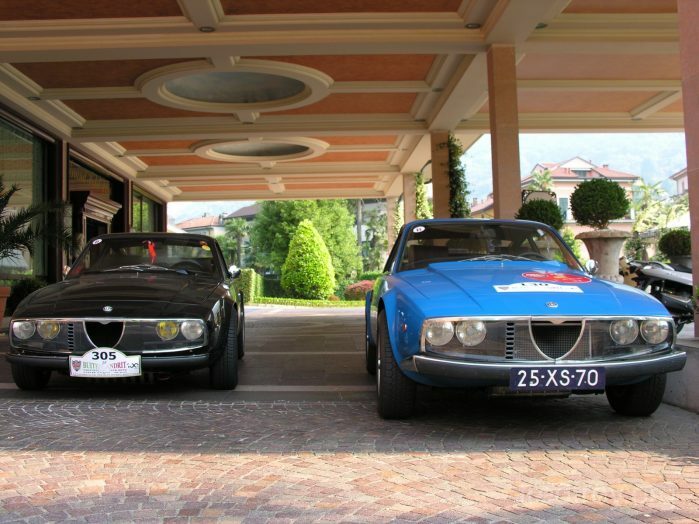 A great way to end a fantastic event.